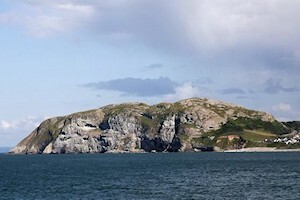 The headland behind Penryhn House is 'Little Orme' which is 147m high and is a North Wales Wildlife Nature Reserve and a warden-patrolled sanctuary for seabirds. The secluded inlet known as Angel Bay has visitors including dolphins, porpoises, seals and a wide variety of seabirds. 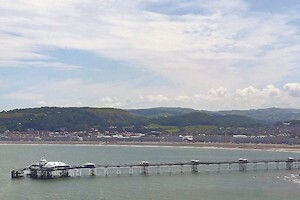 Less than 5 miles away is the charming 'Queen of the Welsh Resorts', with a beautiful sweeping beach and promenade and impressive Victorian pier. The town boasts excellent attractions, fine restaurants, great night life, super sporting facilities as well as local, regional, national and international culture. More than 200 metres above the sea, The Great Orme is an astonishing coastal landmark with Stone Age origins and nature reserve status. Take an enchanting guided walk, head to the summit on the Cable Car or Tramway, spot some rare species or relax at the café or pitch and putt course. This rugged beach terrain – something of a dream for geologists – can feel like another world entirely on a quiet day. 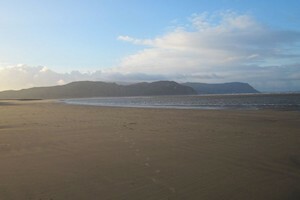 Facing Conwy Bay and Snowdonia, it’s the perfect place to escape to or enjoy a walking adventure, and offers a range of places to stop off for a picnic. Part of the World Heritage Site, Conwy was built for King Edward I at the end of the 13th century, and it’s liable to take your breath away more than 700 years later. The tours are particularly worth taking in – full of nooks and crannies, Medieval history weaves through this place. Seals, chimps, beautiful birds and exotic creatures abound at one of the country’s most popular zoos. This is a conservation centre with revolving displays and plenty going on throughout the year – just watch out for the penguins and hawks, who are given plenty of freedom when they come out to play. 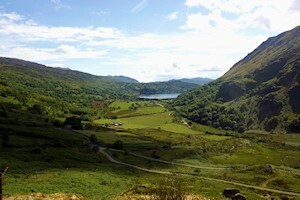 Snowdonia National Park with it's spectacular scenery is best known for hiking but there’s plenty more to enjoy, from waterfalls, lakes and world-class mountain biking to a vintage steam railway that climbs the highest peak in Wales. 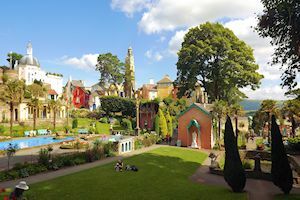 Portmeirion is known for its dreamy Italianate architecture in beautiful surroundings with lovely views. Plus it's a must see for fans of The Prisoner TV series.